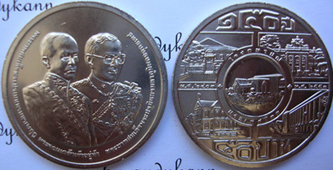 "65th Anniversary of the Victory in WWII"
"Birth Centenary of Mother Theresa"
"Japan prefectures: Kumamoto, Tottori & Toyama"
The 2008 type has a different composition (magnetic steel, ferritic) than the 2006 (non-magnetic steel, austenite). Only Schön (and not Krause) distinguishes between them. 2006 type is KM#26 for Krause. 2008 will be a different KM. 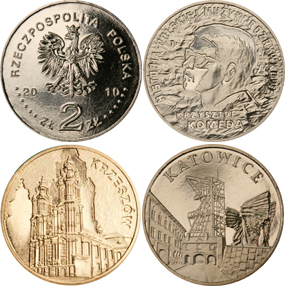 "History of Polish Popular Music: Krzysztof Komeda"
"Historical monuments of the Republic of Poland: Krzeszów"
"Sítio Arqueológico do Vale do Côa"
This new 5 sen coin is made of copper, nickel and zinc, while the present coin (KM35) is made up of only copper and nickel. 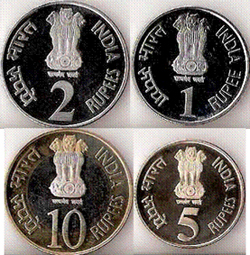 Both coins are silver colour. 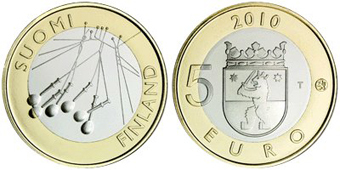 Thickness and weight for the new type are also different than before (2010 type is thinner and lighter). 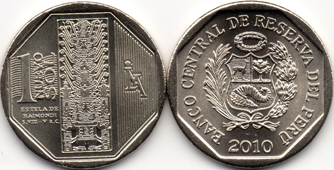 This is the third coin of the series "Wealth and Pride of Peru"
The stela is a major piece of art from the Chavin culture of the Andes mountains in Peru. The Chavin civilization stretched from roughly 900 - 200 BC. Chavin art is famously difficult to interpret and it required specially schooled priests to translate the symbols from the most complex pieces in the ancient world. The art makes use of animals, birds and plants, many of which have religious significance. 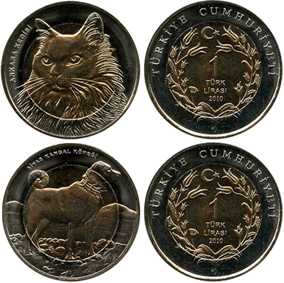 Eagles and cats are known to be particularly important in the artwork. 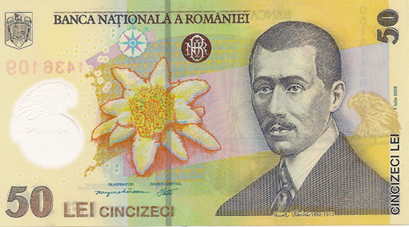 Antonio Raimondi was the Italian archaeologist who found the Raimondi Stela. 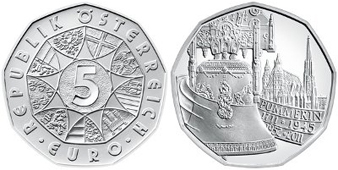 This is the eighth coin in the thematic series with ships. 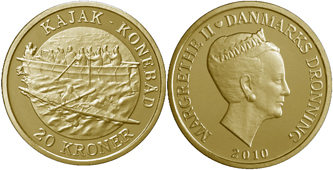 The obverse of the coin carries a new portrait of the Queen made for the commemorative coin to mark the 70th birthday of Her Majesty Queen Margrethe II on April 2010. 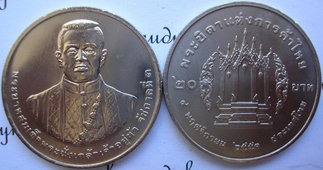 The new portrait is also to be used on the ordinary 10 and 20 krone coins from 2011 onwards. 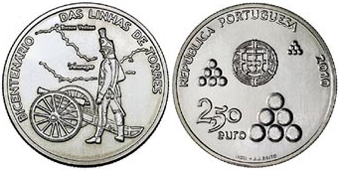 "1 pound City Series: Edinburg & Cardiff"
"2 pounds King James Bible & The Mary Rose"
"Bicentenário das Linhas de Torres"
"150 years of Finnish currency"
"Reserve Bank of India Platinum Jubilee"
"2009: 125th Birth Anniversary of Dr. Rajendra Prasad"
"2011: 150th Birth Anniversary of Rabindranath Tagore"
The Central Bank of the Republic of China (Taiwan) will issue a new NT$10 coin on January 11, 2011. 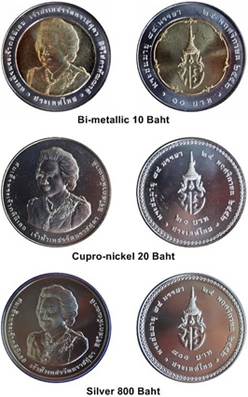 The new NT$10 coin will be circulated concurrently with the existing notes and coins. 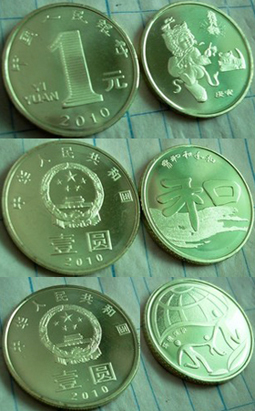 Reverse: The latent images of two Chinese phrases, "the country is prosperous and at peace" and "the people live in safety and happiness", overlap to form the shape of a Ruyi. 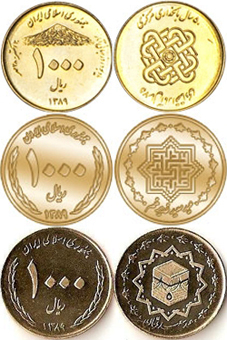 The face value 10 Yuan in Chinese is inscribed with two latent images inside the Arabic numeral "0". A tactile identification feature for blind people (point) can be found below. 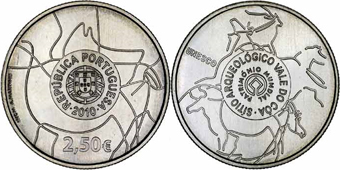 Turning the coin slightly to the left and right causes two different sets of texts and figures to appear alternately. 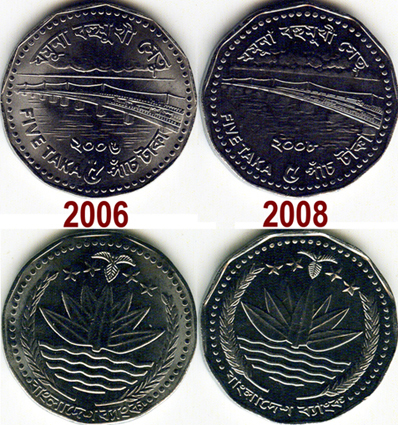 "2010: The Australian Taxation Office Centenary"
"2011: The Ashes Cricket Series"
"2011: Lunar Series - Year of the rabbit"
"The centennial anniversary of the first flight of an aircraft engineered by Aurel Vlaicu"
Sheikh Mujibur Rahman was a Bengali politician and the founding leader of the People's Republic of Bangladesh, generally considered in the country as the father of the Bangladeshi nation. He headed the Awami League, served as the first President of Bangladesh and later became its Prime Minister. 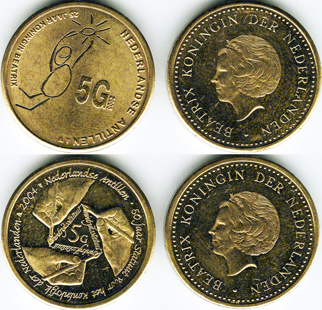 For several years, no one seems to have seen these 2 misterious base metal types (KM74.1 and KM76.1). 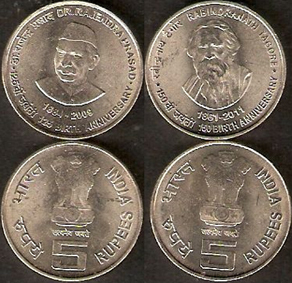 The respective silver issues are known since long. Now scan is available, thanks to Wolfgang Schuster. 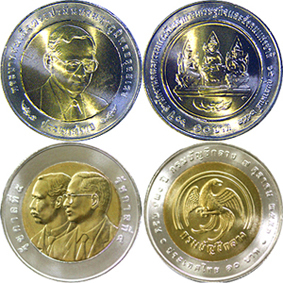 Maybe we'll see them soon available at the numismatic market. 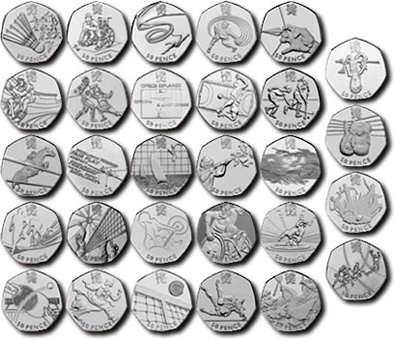 The 12 Days of Christmas is one of the most popular Christmas carols and the Isle of Man's special Christmas 50p collection is a fabulous celebration of this beloved Christmas tradition. 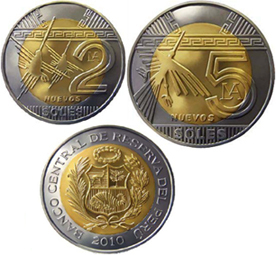 The new 2010 coin is the sixth in the series, so it features 'Six Geese A-Laying'. 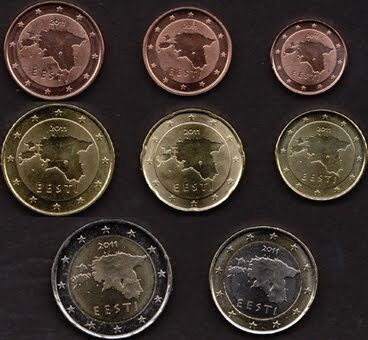 The coin is also available as a coloured version. 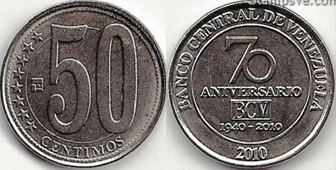 "70 anniversary of Banco Central de Venezuela"
"29 50p types for London 2012 Olympics"
Since its introduction 41 years ago when decimalisation was established, only 16 designs have featured on the nation’s 50p. 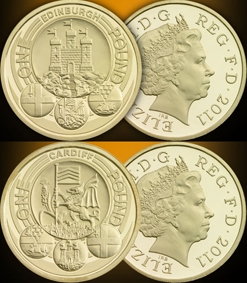 The 29 London 2012 coins appearing in 2010 and 2011 represent the biggest, concurrent range of designs the Royal Mint has ever featured on a circulating coin. 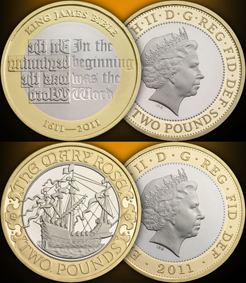 And like every UK coin in use today, each design also had to obtain final approval from the Treasury and Her Majesty The Queen. "Camillo Benso, conte di Cavour"
Wikipedia: Camillo Paolo Filippo Giulio Benso, Count of Cavour, of Isolabella and of Leri (August 10, 1810 - June 6, 1861) was a leading figure in the movement toward Italian unification. He was the founder of the original Italian Liberal Party and Prime Minister of the Kingdom of Piedmont-Sardinia, a position he maintained (except for a six-month resignation) throughout the Second Italian War of Independence and Garibaldi's campaigns to unite Italy. Cavour died only three months after the declaration of a united Kingdom of Italy, and thus did not live to see Venetia or Rome included in the kingdom.